A new cache of food legend Elizabeth David's private notes has brought to light her candidate for this dubious honor - and challenged us to find even worse. Reports the Guardian, "'Italian salad p50. 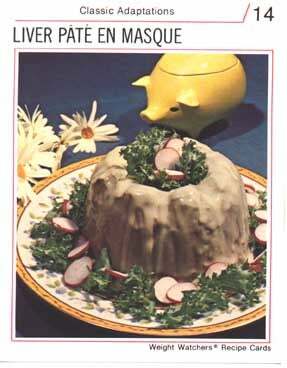 Sounds just about the most revolting dish ever devised.' It was found folded inside Ulster Fare, published in 1945 by the Belfast Women's Institute Club, which David bought secondhand in 1974." Of course, it can get a lot worse than a pear-accented macaroni salad. Here are a few delights to whet your appetites - click at your own risk.